“Puja” refers to the religious ritual performed during festivals and/or special events to honor and worship one or more deities. Most of Indian homes have a separate Puja room and “Chowkis” are small low level stools used to either sit while performing the Puja or to use as a pedestal stand for placing idols of various gods and goddesses or simply as an article of home decor. 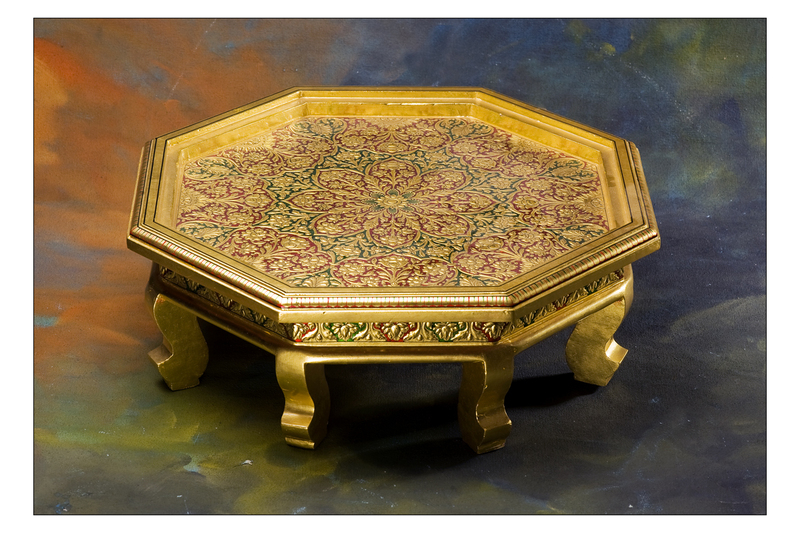 Whatever the use may be, a Chowki can be placed anywhere in your home to fill up spaces which otherwise may lay empty. A Chowki lends a traditional touch to any home and adds to the splendid decor. The beautiful 24 carat gold gilded Chowki from the house of Urja Utsav is an absolute beauty and a must have for your home. Next Post Get Set For Wednesday!